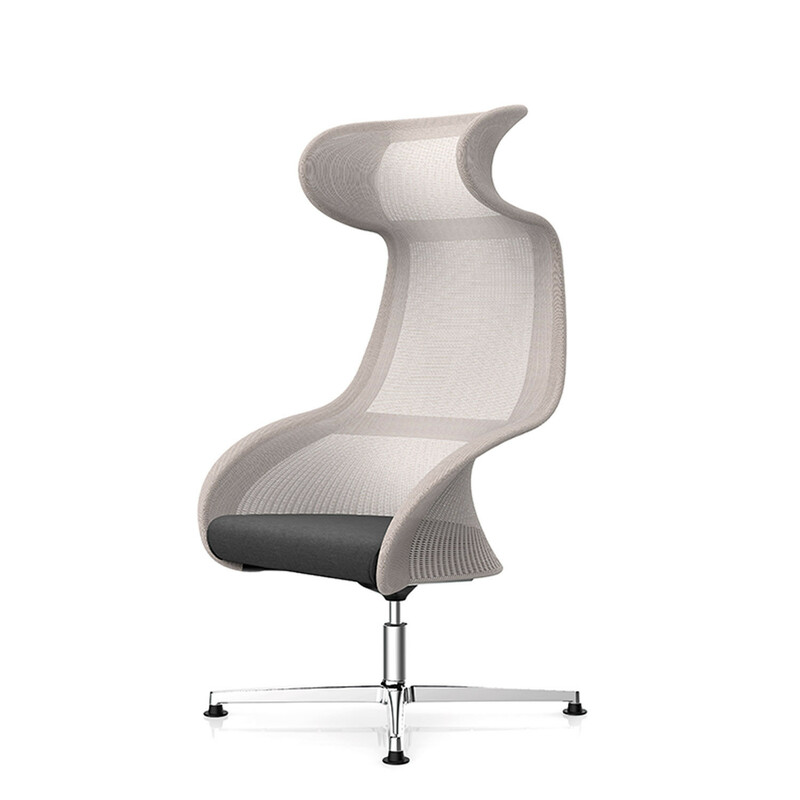 Ballendat Oasis Chairs are a new interpretation of an office wingback chair with organic, flowing lines. 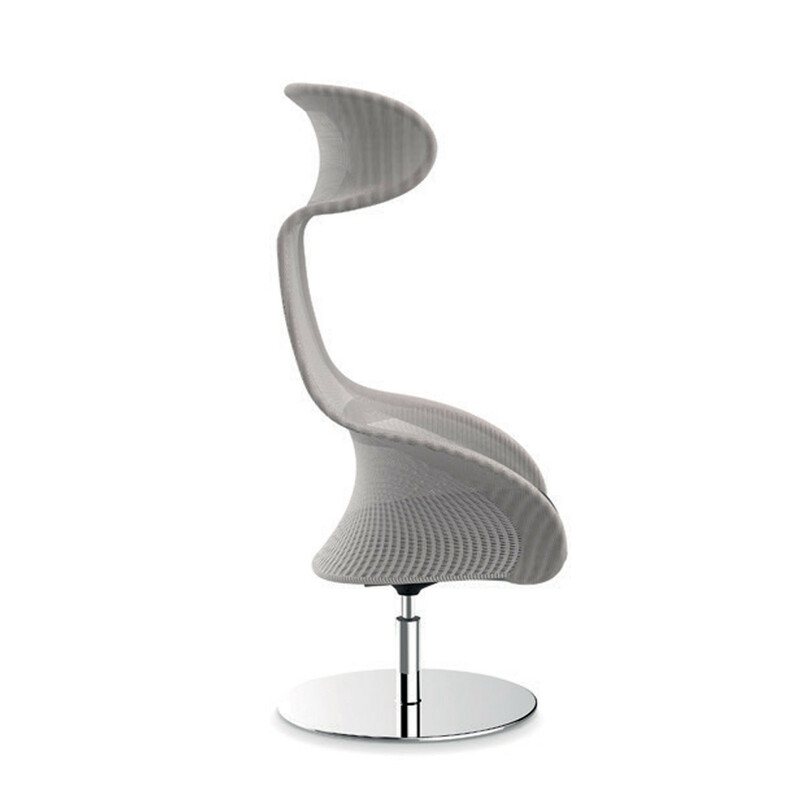 The Martin Ballendat Oasis Chairs range consists of two variations with different back heights and three different types of bases: 5-foot base with castors, 4-foot base with gliders or swivelling plate in polished steel. 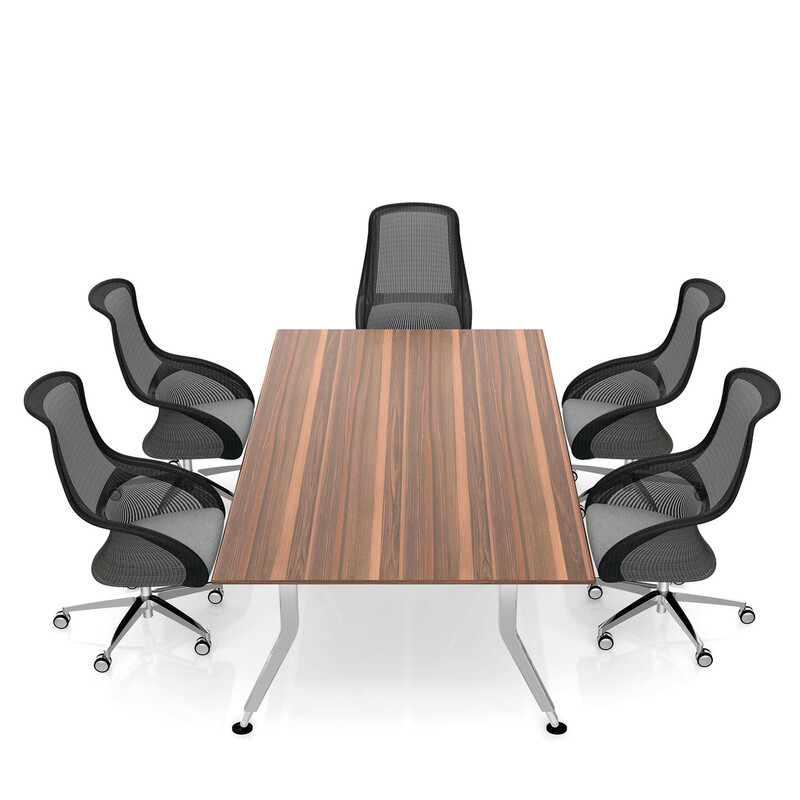 The chairs can also be mounted together on a table element and form a bench. In addition to that there there is also a 360-degrees rotating writing-pad available. 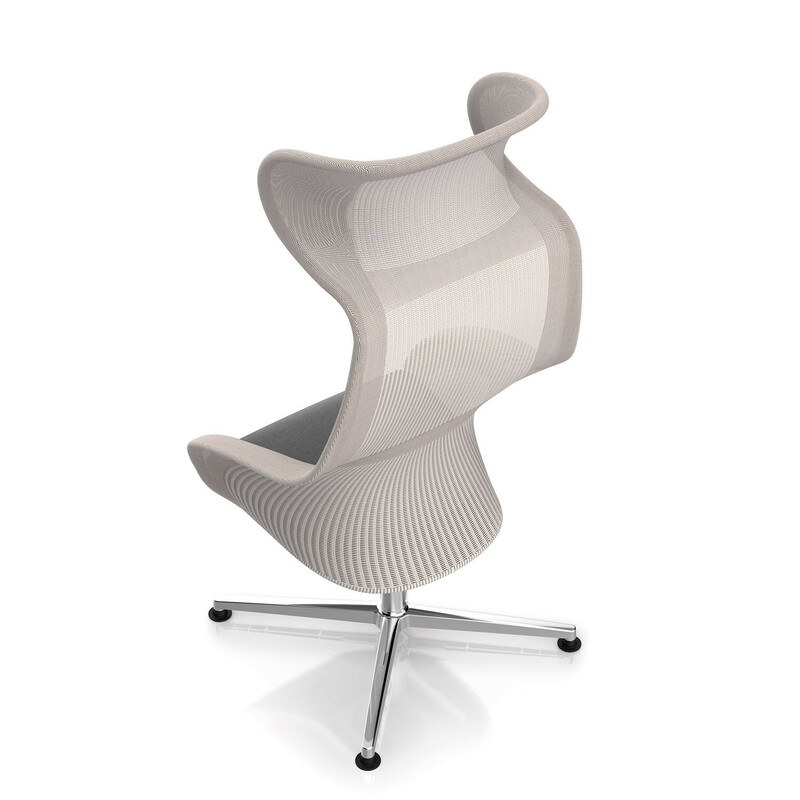 The combination of the materials is innovative: the curved steel- tube is covered by knitted fabric and creates a distinctive aesthetic. 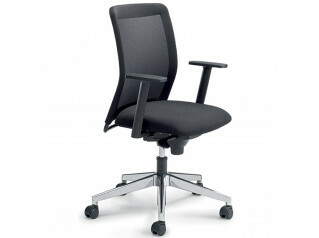 The area of the lumbar support and the headrest is covered by double fabric and thus offers the user an ergonomic sitting position with optimal comfort. 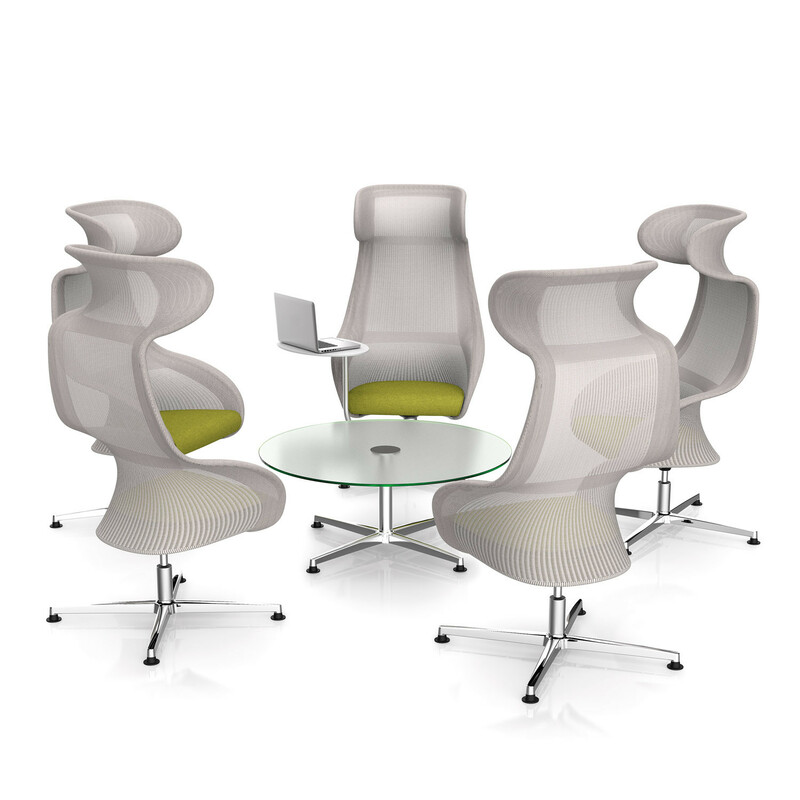 Oasis Chairs feel light and transparent, yet its design provides a strong sense of privacy. 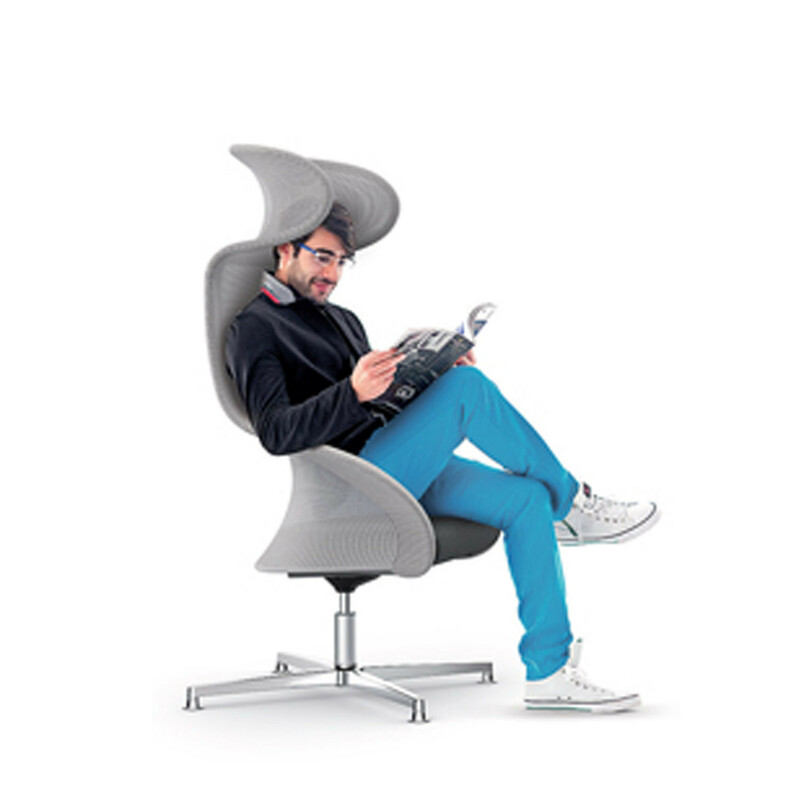 The wings on both sides offer visual shelter and enable the user to concentrate at the office, in conferences, meetings or in formal lounge/waiting areas. 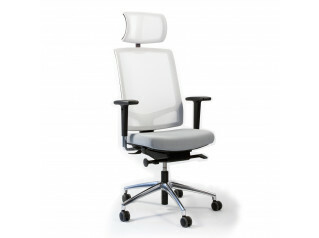 the user to adjust the writing-pad to a close position and, when not in use, the writing-pad can be turned behind the chair. 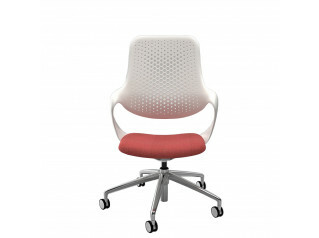 The shell of Ballendat Oasis Chairs is supported by a pendular mechanism that gently tilts backwards, thus supporting various sitting positions comfortably. 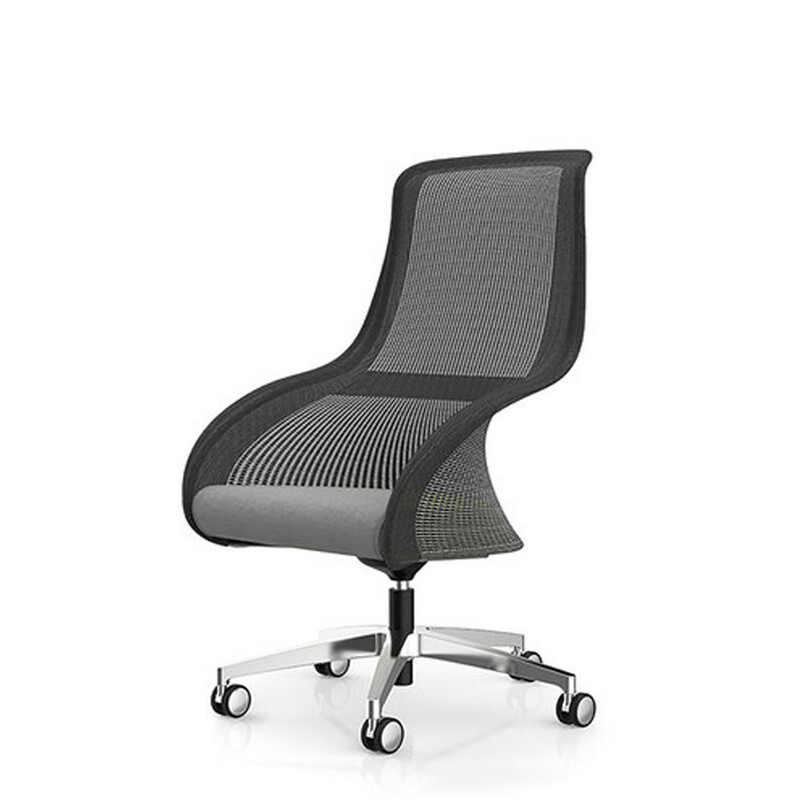 The knitted fabric of this contemporary office seating solution is available in anthracite, light grey and light beige. 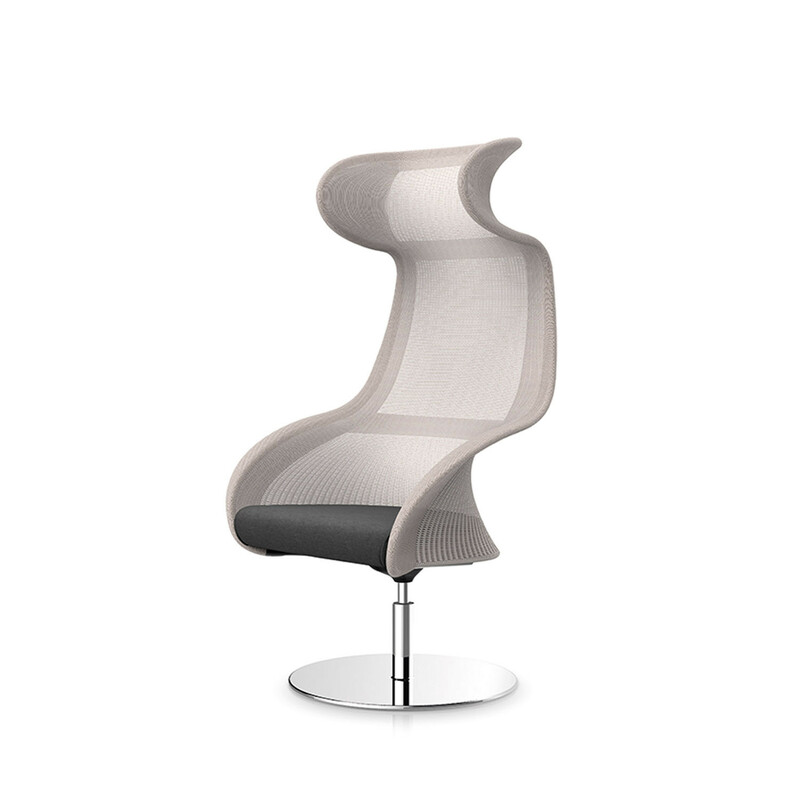 You are requesting a price for the "Ballendat Oasis Chairs"
To create a new project and add "Ballendat Oasis Chairs" to it please click the button below. 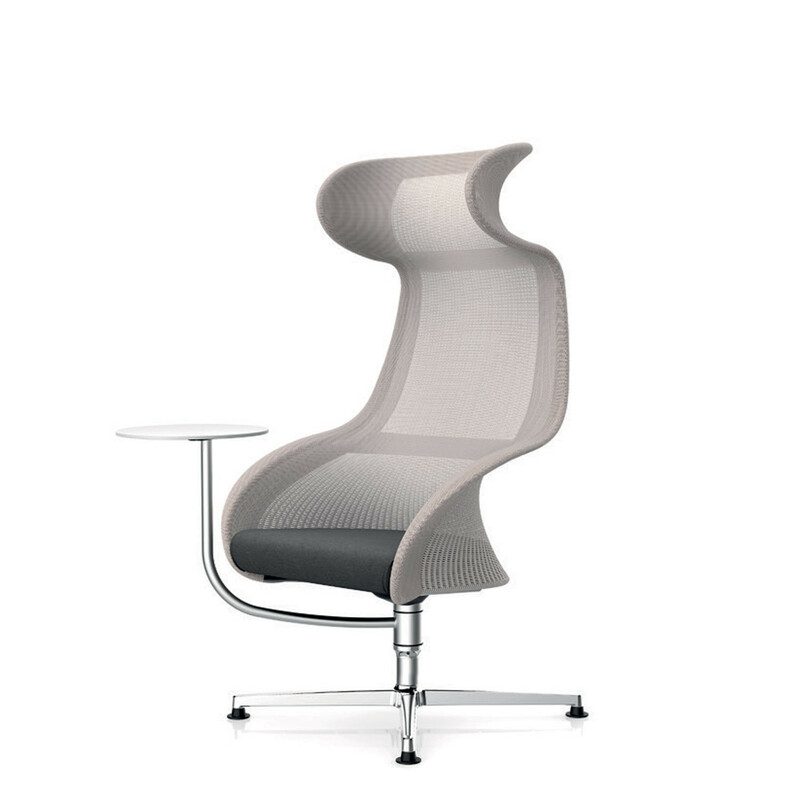 To add "Ballendat Oasis Chairs" to an existing project please select below.